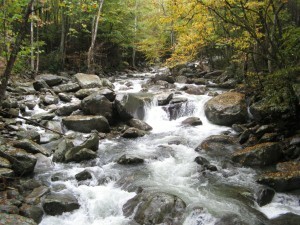 One of Sevier County’s most unique natural features, aside from the Great Smoky Mountains, is a well-known river that flows through the entirety of the County – the Little Pigeon River. Contained entirely within Sevier County, this river creates a real sense of natural beauty for our area, along with augmenting this area’s unique environment in many different ways. The Little Pigeon River rise from a series of mountain streams that are along the Tennessee/North Carolina dividing ridgeline, located inside the Great Smoky Mountains National Park. From there, the river splits into three separate prongs, namely the East, Middle, and West Prongs, respectively. The East Prong of the Little Pigeon River virtually parallels State Road 416 (Pittman Center Road), through the Town of Pittman Center and towards Sevierville. The Middle Prong emerges from the Greenbriar area of the Great Smoky Mountains National Park, and the West Prong, which is the most well-known Prong of the three, flows through Gatlinburg and Pigeon Forge, on its way to Sevierville. From there, these streams all come together in Sevierville, and then flows along State Road 66 (Winfield Dunn Parkway), until its confluence with the French Broad River, just donwstream from the Douglas Dam. 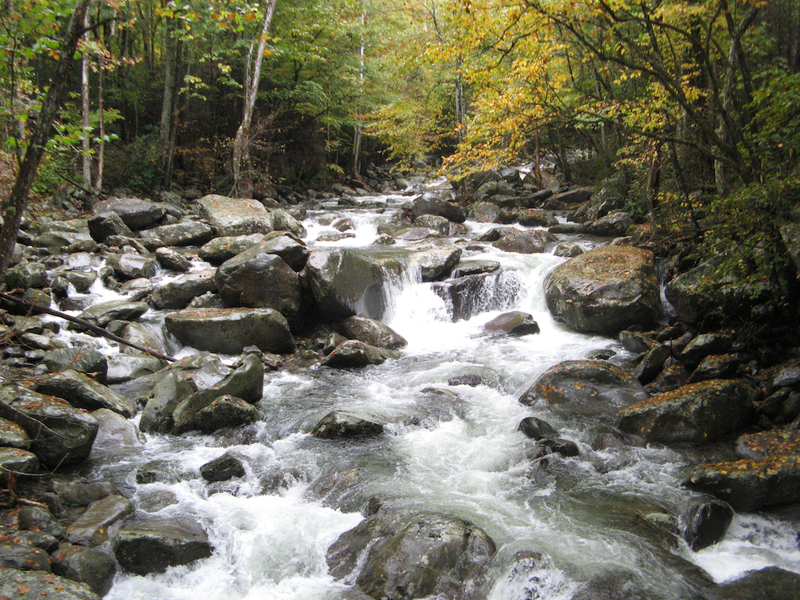 For more information on the Little Pigeon River, you can visit the City of Pigeon Forge website, or the City of Gatlinburg website, to learn more about the river. The Little Pigeon River should not be confused in any with the Pigeon River, as it is not a tributary of the Pigeon River, which rises above Canton, NC, and then flows towards Newport, TN, in Cocke County, which neighbors Sevier County. In addition, the Little Pigeon River is a part of the Lower French Broad River Watershed, which covers the entirety of Sevier County. Furthermore, the Little Pigeon River offers many opportunities for fishing, camping, whitewater rafting, and much more, attracting people from all over the country to Sevier County every year. 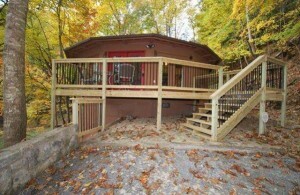 In fact, many of Sevier County’s attractions, including The Old Mill in Pigeon Forge, are within a virtual stone’s throw away from one of the three Prongs of the Little Pigeon River. With such naturally beautiful features like the Little Pigeon River, it is no wonder why so many people come and visit the Great Smoky Mountains every year, and desire to be a part of such a beautiful environment. Why not see what else the Smokies can offer you today? Please feel free to browse our Featured Properties, and see how The Jason White Team can help realize your home ownership dreams today! The Great Smoky Mountains National Park – Natural Beauty in Our Own Backyard! One of the greatest aspects of the Smokies is that we have a wonderful National Park, right here in our own backyard! The Great Smoky Mountains National Park features a wonderful diversity of natural beauty and wildlife, unlike any other in the United States, or even in the world. Unique wildlife indigenous to the Great Smoky Mountains National Park include elk, black bears, wildflowers unlike any in the world, and much, much more! In addition, visitors to the National Park will find that they can view the wildlife for themselves, on regular tours, as well with special events dedicated to educating people about wildlife in the area. For more information regarding the unique wildlife of the National Park, please click here. In addition, the National Park is also home to many interesting historical attributes, including Cades Cove and many other locations throughout the Park itself. 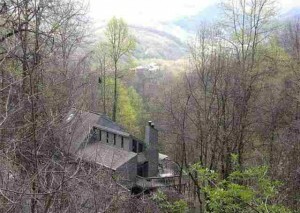 These include old mills used by settlers to the Smoky Mountain region, as well as other history-related artifacts. For more information on this, please click here. There is also an organization dedicated specifically to preserving the National Park, as well as educating people about the history, features, and activities of the Park. This organization is the Great Smoky Mountains Association, a nonprofit organization that provides books, guides, and other information to visitors regarding the many wonderful features of the National Park. For more information on this Association, and even how to get involved or contribute, please click here. With such a wonderful natural feature and park located in our area, it is no surprise that many people decide to look for more while in our area. 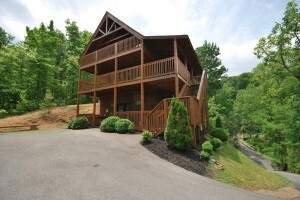 While here, why not also see what else the Smokies can offer you? Please feel free to browse our available properties, and see how we can help you realize your home ownership dreams today! With all of the recent wintry weather that the Gatlinburg area has had, now is a great time to come and see one of the most premier attractions in all of Sevier County and East Tennessee – Ober Gatlinburg Ski Resort! 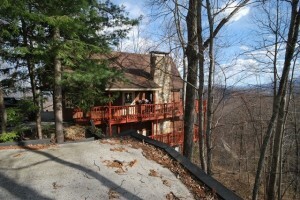 Ober Gatlinburg is located high above downtown Gatlinburg, adjacent to the Great Smoky Mountains National Park. This resort started in 1961 as the Gatlinburg Ski Resort, with the well-known aerial tram from downtown Gatlinburg to the resort being built in 1973. In 1975, Gatlinburg Ski Resort became known as Ober Gatlinburg, and is now a year- round attraction for thousands of visitors every year. 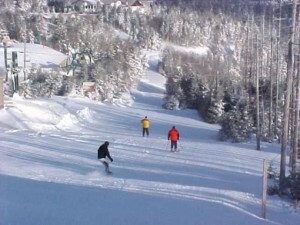 Ober Gatlinburg is family owned and operated, and features multiple activities, including a brand new state-of-the-art tubing facility that opened in January 2009, as well as a Freestyle Terrain Park that was added for 2009-2010 season. In addition, Ober Gatlinburg also features a well-known ski slope, a Wildlife Encounters exhibit, restaurants, shops, and much more! For more on current slope conditions at Ober Gatlinburg, please click here to get the latest full slope report for Ober Gatlinburg. In addition, for more information regarding Ober Gatlinburg, please check out the many features on their website today, including upcoming events, activities, rates for rides and attractions at Ober Gatlinburg, and much, much more!!! With a resort like Ober Gatlinburg, many people come to our area every year to see the Great Smoky Mountains and its splendor. 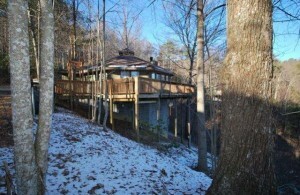 While here enjoying our area, why not also see what else the Smokies can offer you? Please feel free to browse our available properties today, and see how we can help you realize your dreams of home ownership! 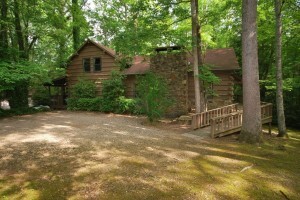 Come and see why the Great Smoky Mountains are such a special place, and contact us today! 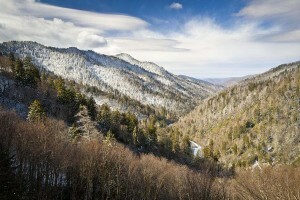 Great Smoky Mountains National Park Is Once Again Open! On Wednesday morning, roads and trails into the Great Smoky Mountains National Park were finally re-opened, 15 days after being closed due to the recent government shutdown. Traffic was lined up outside the Townsend entrance to the park before it opened as tourists waited to enter. A ceremony celebrating the reopening had to be moved to the Tremont campground because of the traffic. Due a recent deal between Tennessee Governor Bill Haslam and North Carolina Governor Pat McCrory, as well as support from county leaders in Sevier and Blount Counties, the park was temporarily re-opened from Wednesday, October 16th, until this Sunday, October 20th, at 11:59 P.M. However, the recent ending of the government shutdown as of last evening by the federal government further means that the National Park will remain open for the foreseeable future, past this Sunday at 11:59 P.M. The National Park costs $60,100 to operate per day, according to the National Park Service. Prior to the resolution of the shutdown last evening, it would take $300,500 to keep the park open for the five days called for in the state-to-state brokered deal. All national parks were closed October 1 when Congress failed to pass a funding bill, leading to a partial government shutdown. However, the federal government agreed last week to allow states to re-open national parks if they paid for the operating costs. In addition, bills introduced in the U.S. House and Senate would reimburse states within 90 days for any costs associated with reopening the parks during the shutdown. Now that there is a resolution to the shutdown by the federal government as of last evening, the National Park is on track to remain open for the foreseeable future. What does this all mean? For now and into the foreseeable future, it appears that the National Park will be open, and will remain open, to the public, following the last evening’s resolution to the recent government shutdown by the federal government. This comes during the middle of the changing of the leaves in the fall season here in the Smokies, which attracts many people to the area every year and is expected to do so again this year. While enjoying the wonder and splendor of the Great Smoky Mountains, as well as the now re-opened National Park, why not see what else the Smokies can offer you? Please feel free to browse our available properties, and see what is available for you if you are thinking about buying a new home in the area. Let our team help you realize your home ownership dreams today, as we have many great properties available!